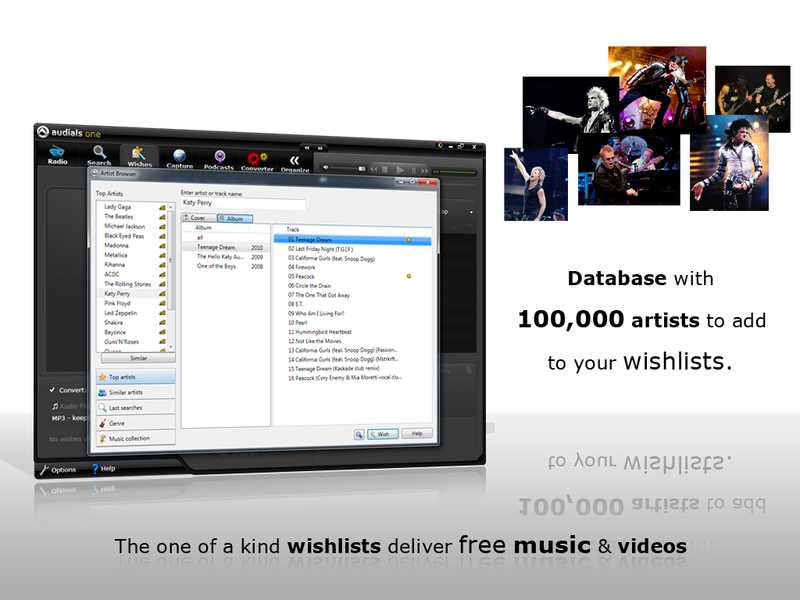 Locate, Record, Download, Convert & Enjoy Music, Movies, Videos & Radio Stations. Enter the genre, artist, album/sampler name or title & Audials One hooks you up w/music legally from Internet radio stations or by searching websites directly. Audials One can also record any audio stream from music subscriptions or from websites right from your browser & save the files as individually tagged MP3 files. The world’s largest radio database. With Audials, a button appears next to videos & films in any browser or stream player giving you recordings w/just a click. Simply click the button & Audials automatically saves the video. Audials also records movies from online movie stores, media centers or video streams & saves these files in the desired file format for all of your playback devices automatically. Audials One optimally converts unprotected or protected music, audiobooks, videos & movies via legal re-recordings w/preconfigured format profiles for your PC, notebook, Smartphone, Tablet, Netbook, PS3, Xbox & all other portable devices. WMA, M4P/ M4B, MP3, MP2, WMA, WMA Pro, OGG, AAC, OGG, MPEG-4 AAC, WAV, FLAC, AIFF, AC3, AU. WMV, M4V, MP4(MPEG4), TS, MKV, MPEG, MPG, AVI, MOV, FLV, H.264, XVID, DIVX, 3ivx, DV. No matter where you are or which device you use, Audials hooks you up w/the best entertainment. By using your smartphone or any internet-capable device Audials lets you enjoy your media anywhere straight from the clouds. Some clouds, such as Amazon, Telekom & Strato have been preconfigured.